Mod Podge — A crafty girl’s best friend! Use it to make one of these clever picture monograms. 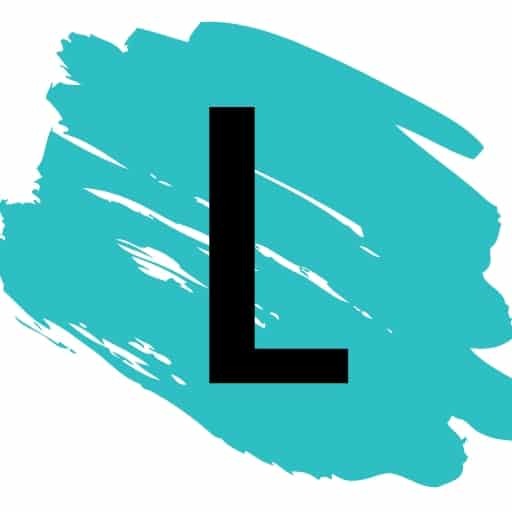 You can buy the wooden letters from just about any craft store, and then print out some of your favorite photos onto regular printer paper. I think this would look nice on a bookshelf or mantel. What a great idea for your bestie! 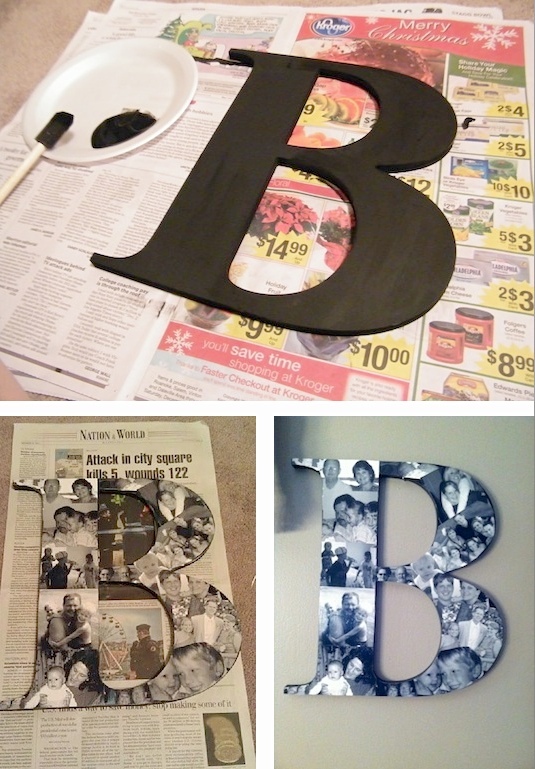 Paint a large wooden letter with acrylic paint (if desired, or leave it in it’s natural wood state). Print out your desired photos on regular printer paper, and then cut them out. Once the paint is dry, use a sponge brush and mod podge (I prefer the matte) to apply the paper photos to your wooden letter. You will want to evenly apply the mod podge to the front and back of the photos without leaving any thick streaks of the glue behind. Once the glue is dry (this should take less than 30 minutes), use scissors or an x-acto knife to remove the excess parts of the photos that hang outside of the boundary of your letter. That’s it! You can also add paper flowers, quote stickers, rhinestones or any other details that you would like. 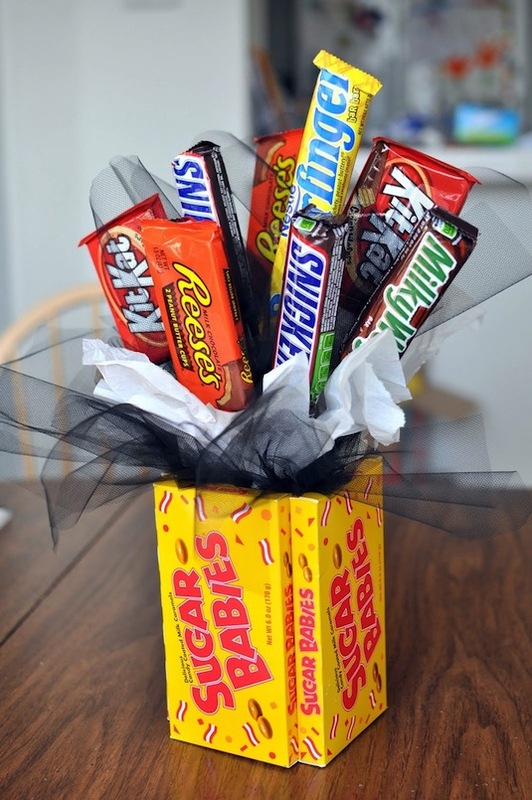 A bouquet of candy is the perfect gift for someone who is hard to shop for! Who doesn’t love candy, right? I like this idea for a teenager, or perhaps for dad on Father’s Day. Get the full instructions over at Funky Polkadot Giraffe. This has got to be the ULTIMATE man gift — liquor bottles, cigars, beef jerky sticks, chocolate and shot glasses. 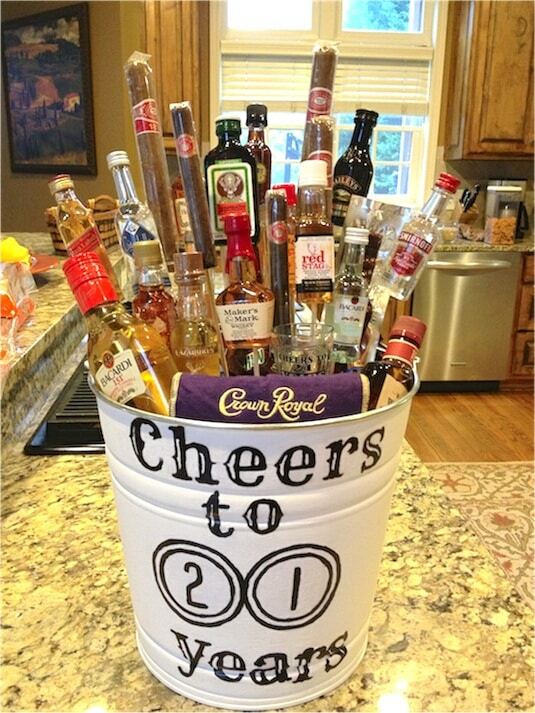 Perfect for a 21st birthday! A smaller version in a large beer mug would also be nice.